Allie Cashin (left) and her friend Allie Carrick will both be running the NYC Marathon for HeartShare on November 4th. Allie Cashin is a runner, physical therapist, and long-time member of the HeartShare family. Allie is the daughter of Linda Tempel, HeartShare’s Executive Director of Developmental Disabilities Services. When she was younger, Allie volunteered at HeartShare’s program and events, and quickly fell in love with the agency’s mission. As a college student working at a HeartShare pre-school, Allie discovered that she wanted to dedicate her career to helping children in need. She is now a physical therapist in Colorado. Her favorite thing about working with children is that “they don’t limit themselves and they always try to persevere.” Allie works with special needs children and teens and finds it gratifying to improve their mobility, and their lives. Recently, Allie helped an 18 year old, who uses a wheelchair, go swimming for the very first time. “Just seeing his expression of pure joy made everything worth it…I love allowing people to feel comfortable in their own bodies,” Allie shared. The 2018 NYC Marathon will be Allie’s 24th. Allie hopes to be able to run in all 50 states one day. She‘s already run 23 marathons in 22 different states. Allie enjoys giving her all and feeling a sense of accomplishment. Her family and friends are often up to the challenge too. In the past, Allie enlisted her mother and sister to run with her. 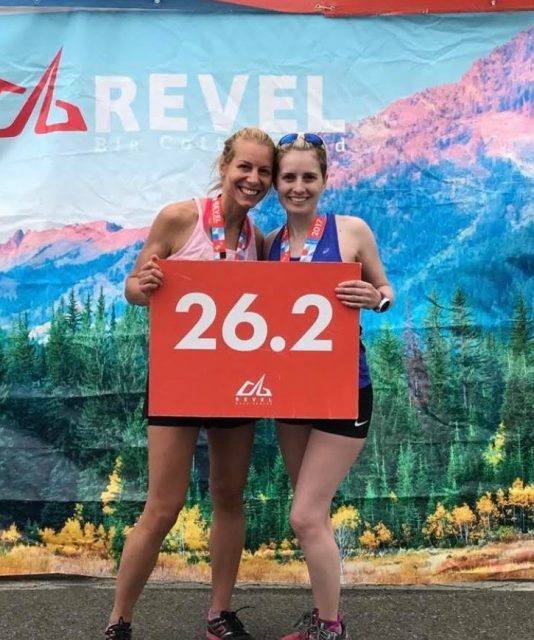 This year, Allie will be running the NYC Marathon with her best friend, Allie Carrick, who lives in Connecticut. Donate to Allie’s Marathon page today.